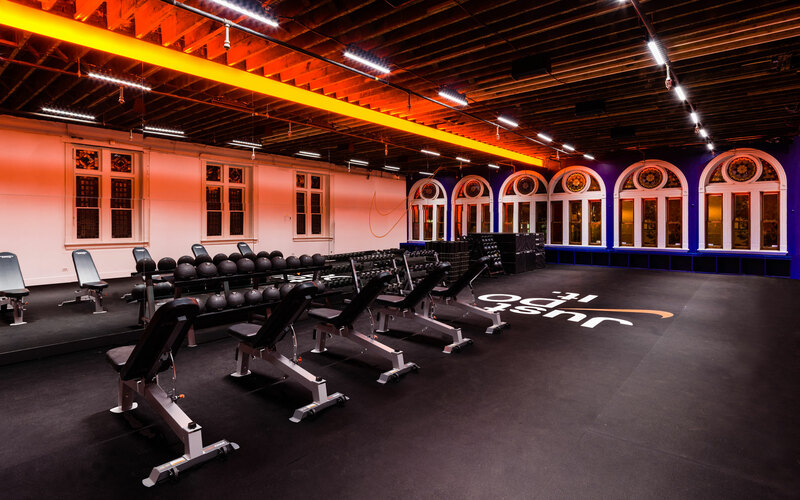 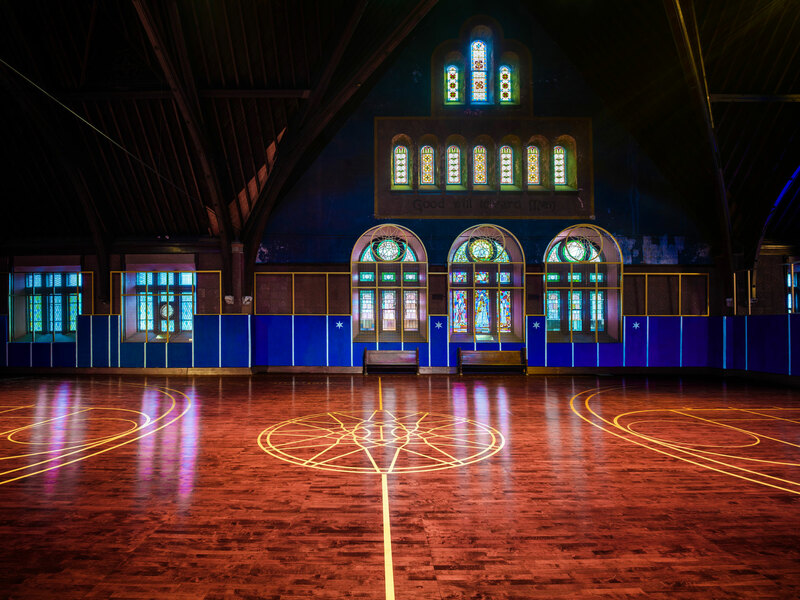 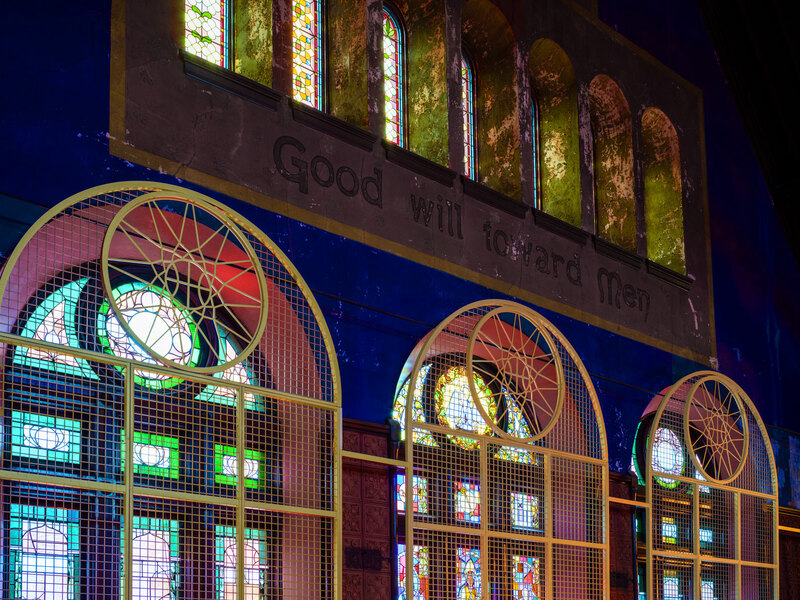 We transformed the previously shuttered Church of the Epiphany in Chicago's West loop into a pop up basketball facility for the local community. 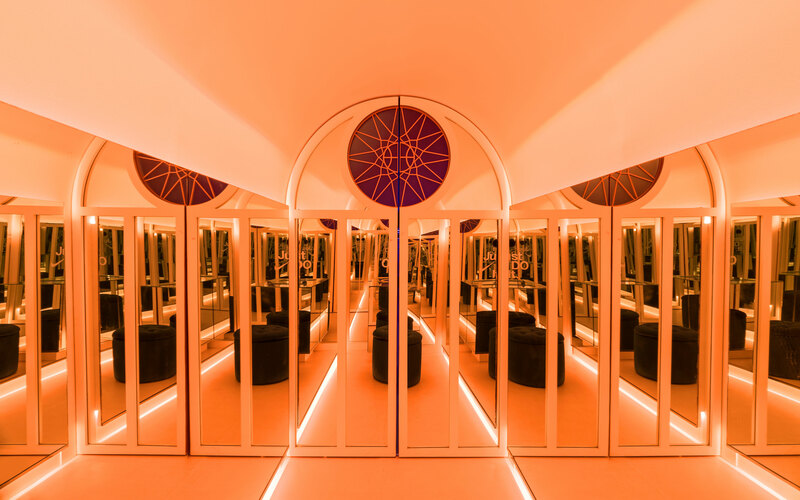 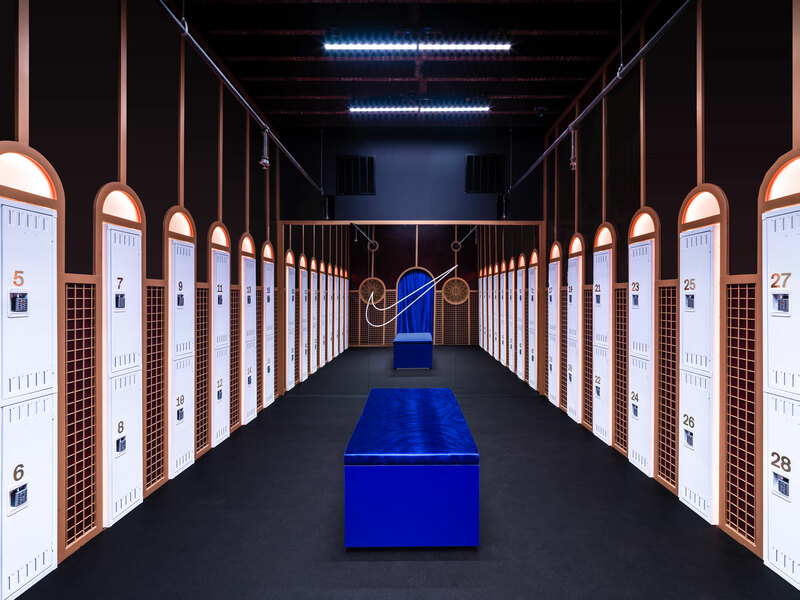 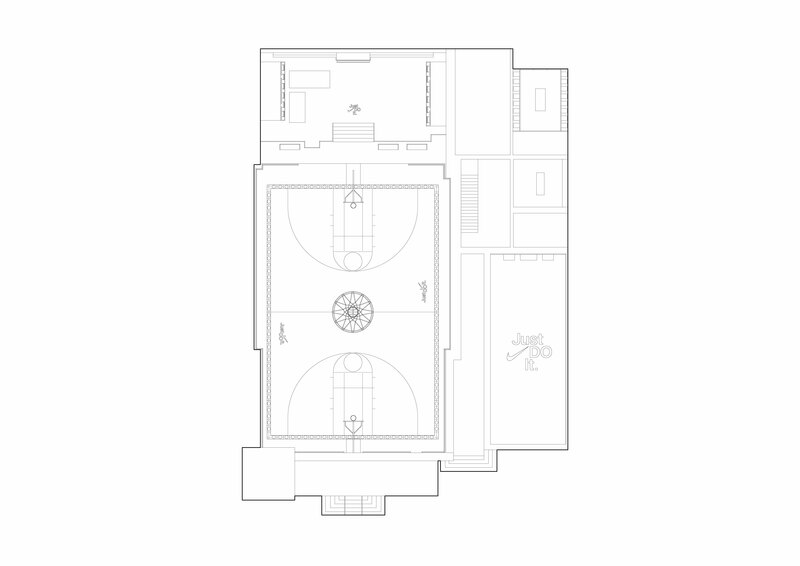 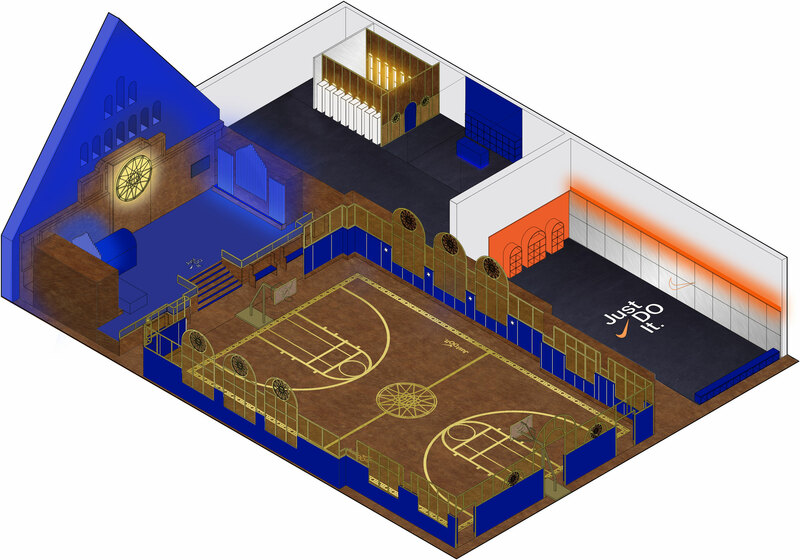 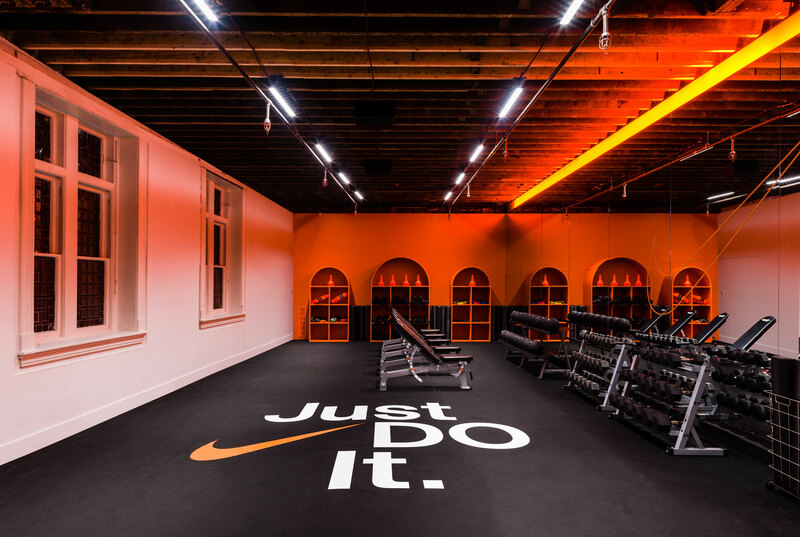 Honouring the existing elements yet amplifying them through materiality we created an aspirational training and game space, incorporating a full basket ball court, off-court training, locker room and infinity video booth for post game debriefing. 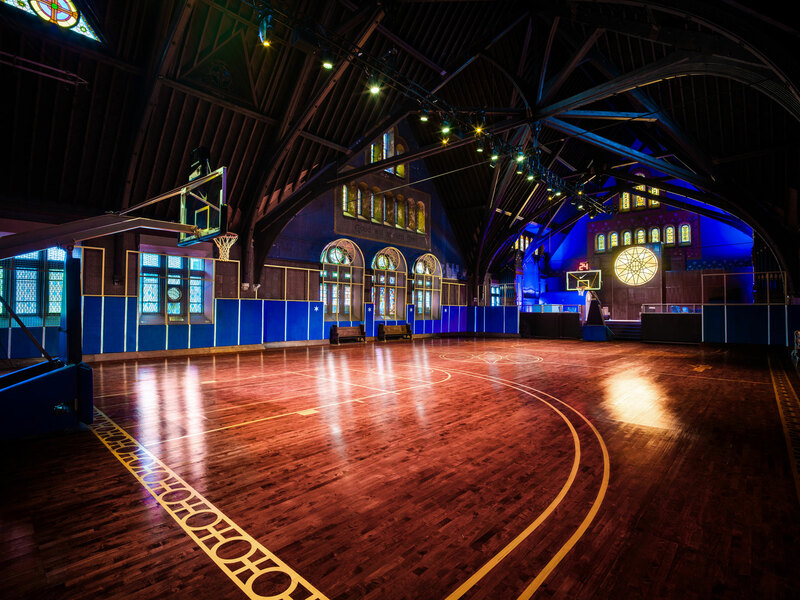 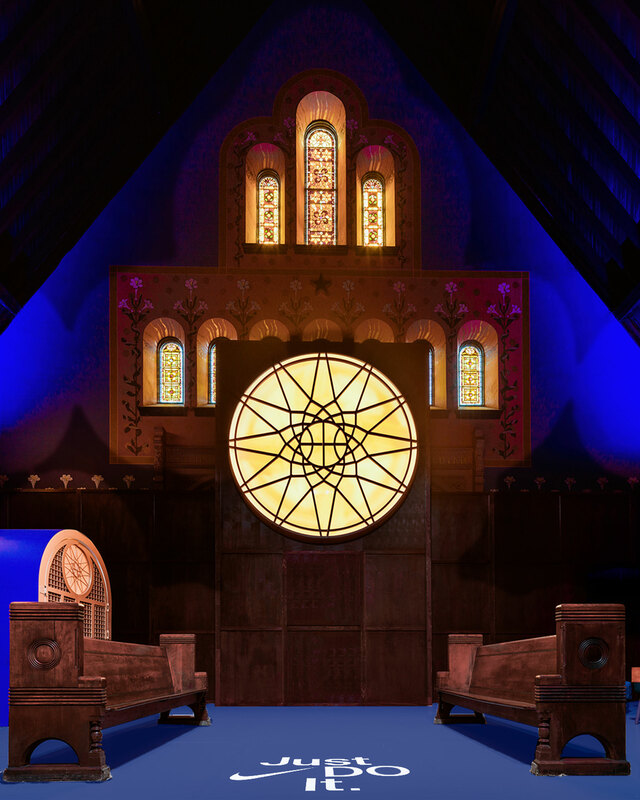 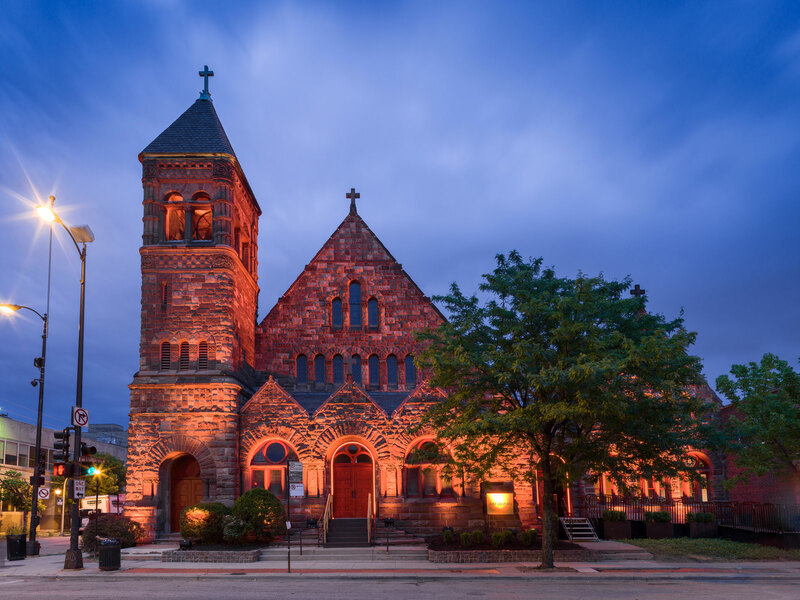 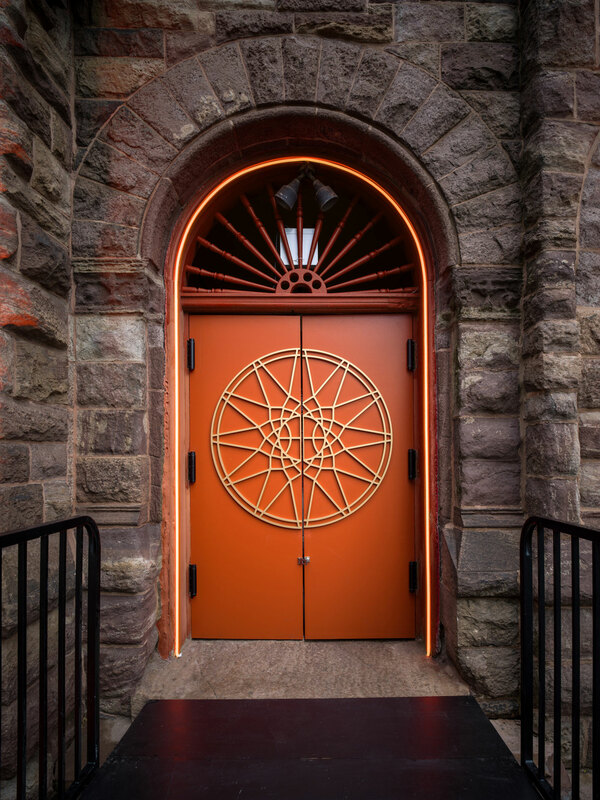 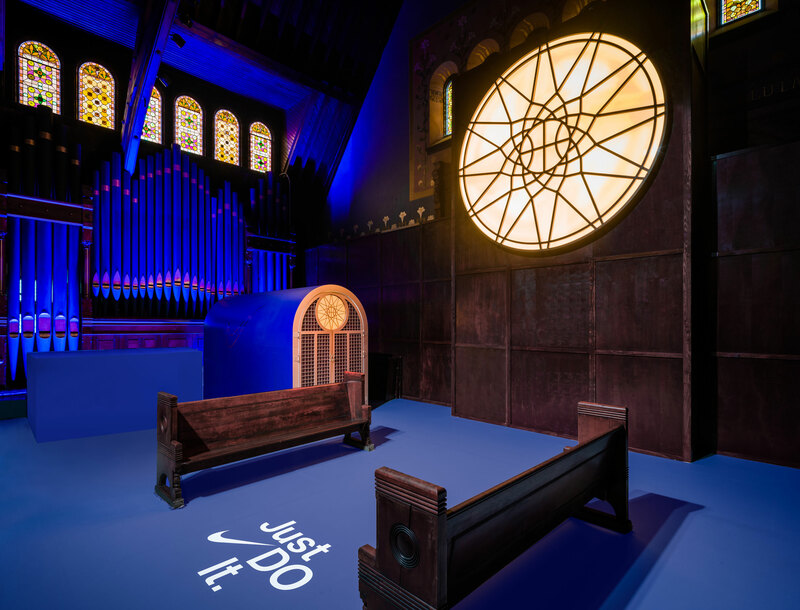 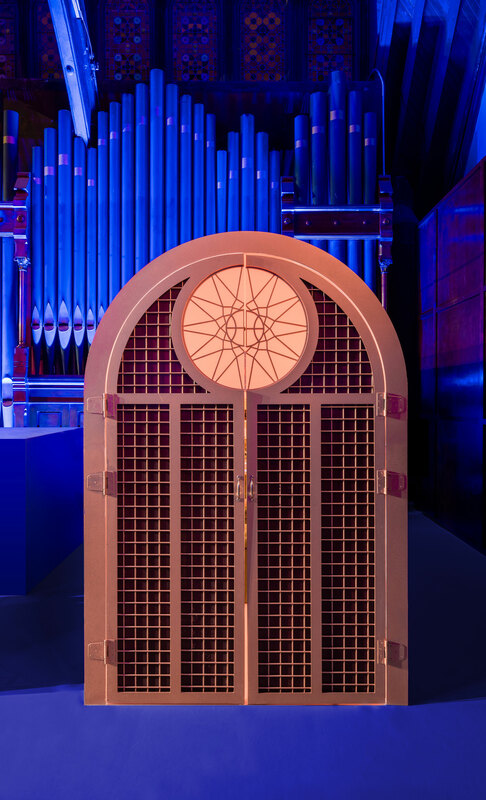 Echoing the existing architecture and colour palette of this 19th century church we allowed the functionality of basketball to take on an elevated status.